Car Roof Boxes also known as Top Boxes are the perfect solution for increasing your vehicle's luggage capacity or for transporting sporting equipment and awkward items such as skis and snowboards. Roof boxes are available in a range of sizes and shapes to suit your requirements, you should choose a sensible size box to match your vehicle. 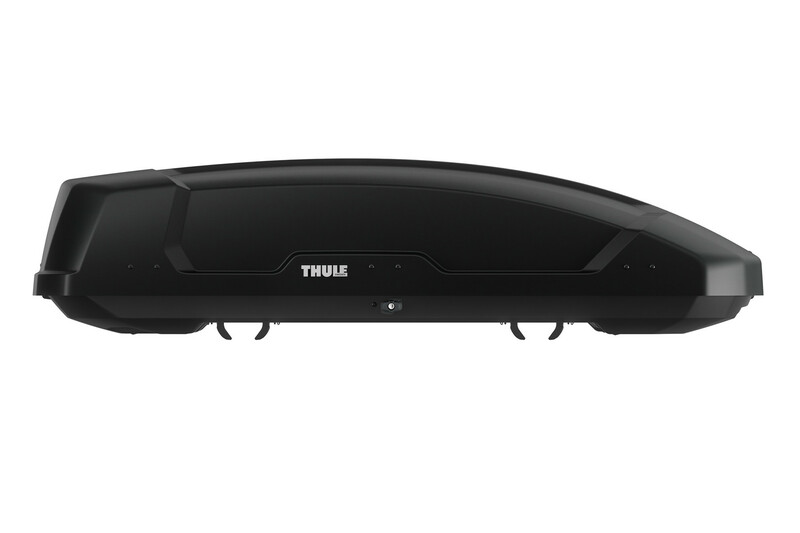 The Thule Ocean roof box range offers fantastic value and is perfect for holidays and other occasions when you need extra storage space. Various size options available. Smart, stylish range of car top boxes featuring the latest features for ease of use and mounting. Available in a 6 sizes in either Black Glossy or Titan Glossy (silver) colour options. An elite roof box model for car drivers that want the ultimate top box for their vehicle. The Excellence XT is as good as it gets for a roof box! Available in 2 colour options: Black Glossy / Titan Metallic or Titan Metallic / Black Glossy. Compact soft roof boxes that pack away into a convenient size for storage. 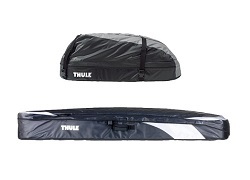 Excellent solution for increasing luggage capacity without having to store a large rigid roof box.